For most people, a black phone is fine. The slightly more trendy might be drawn to a clean white exterior. But not you. Oh no, you want a phone that's brown like fine Corinthian leather. A phone that you can feel proud to hoist above your head and exclaim for all the world to hear that you are a man, and this is a man's phone! Ladies will probably like it too, but for different reasons. Lucky for everyone, the brown Galaxy S4 for Verizon is on sale at Amazon for $119 on all new lines (or accounts), and $149 on upgrades. This is the same device you'd get directly from Big Red or Best Buy, but for much less than the $199 those guys want. 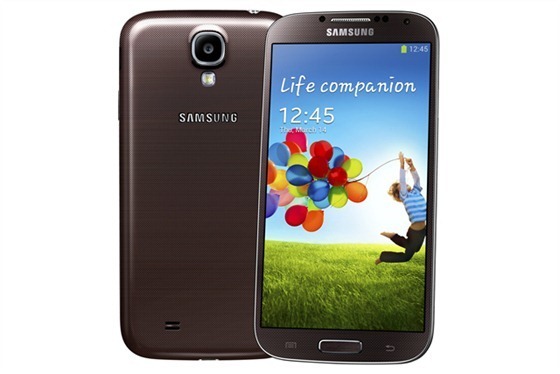 The GS4 has a quad-core Snapdragon 600 clocked at 1.9GHz, 2GB of RAM, and a 5-inch 1080p AMOLED. It's probably the best selling phone in the world right now, and it can be yours at a discount... and in brown. Keep in mind the in-stock time for this device through Amazon is listed as 2-4 weeks. After that, it should reach you in 2 days.